The Peaceful Glen Memorial Players are about to mount a new production, but this time, it's a fight for their lives. It's not just the usual hand-to-hand combat between board members Duncan and Hope for the last donut. This time the company is about to lose their building. According to the late Archibald Donnelly's will, they could keep the building as long as they do "quality productions." Oh, they have tried, in their own left-field way, to do the classics. "Isn't it true," family heir Blair Beesley asks, "that you did 'Twelve Angry Men' with five actors and seven store mannequins?" Board President Tamara sees an opening when she learns that Blair once minored in drama in college. "You will be our next director!" 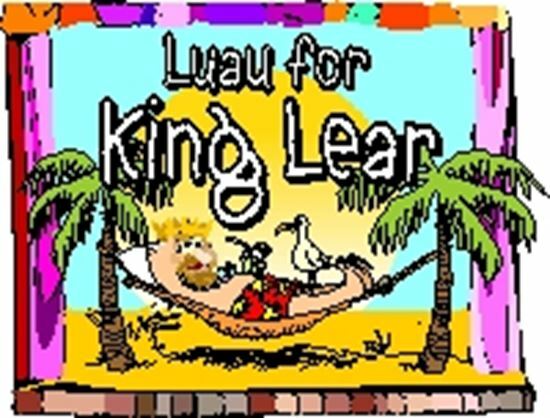 So Blair chooses the Shakespearean classic "King Lear," unaware that the play will have a setting in the tropics to coincide with the town's celebration theme. What Blair faces in the next few weeks are giggling teenagers, a cranky lady who live in the basement apartment, a leading man with a slight "problem," food fights and teaching Hawaiian to her cast. All sorts of oddball community theater types come out of the woodwork in this riotous farce where your audience not only gets to see their performance but also what goes on behind the scenes. With a cast of 12 and two easy sets, this is the hilarious prequel to "Barbecuing Hamlet."